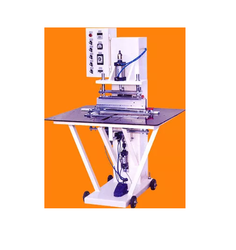 We are paramount in offering an extensive range of Rainwear Making Machines for Raincoats, PEVA Raincoats, PVC Raincoats, Caps and Handles, Umbrella Covers, PVC Tarpaulin, PVC EVA Life Jackets, Aprons, PVC Curtains to the clients. Besides this, our organization is also engaged in manufacturing caps and handles for the valuable patrons. These machines are developed by making use of the advanced tools & techniques. Clients can avail from us a wide range of PVC Files & Folder Making Machine for Presentation Novelties, Calenders, Office Files, Folders, Purses & Wallets, Banners & Photo Albums & Ring Binders, Visiting Card Albums, Clear PVC Folders etc. These machines are constructed in compliance with both the industrial as well as international standards of quality. Our machines are highly appreciated by the clients due to their high functionality and optimum quality. These are manufactured using the latest techniques, which makes these highly effective. Our organization is well known in the industry for offering an extensive gamut of Blister to Blister Packing Making Machines for Clamshell Pvc Blister, Customised Clear PVC Double Blister, PVC Headphone Clamshell Blister, PVC Blister for Phone Case, Pet Blister, Viper Blister, Thermoformed PVC Blister, Gift Blister, Tool Kit Blister, Lock Products Slide PVC Blister etc. 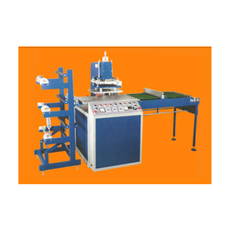 These machines are constructed in compliance with the preset industrial norms & standards. Our products are renowned for their high tensile strength and corrosion resistant features. Clients can avail from us a wide range of Sunwiser Welding Machine. These machines are highly demanded among our clients who are spread all across the country. Our machines are operated by the skilled & highly experienced professionals owing to which we are able to offer high-quality product range at clients' end. 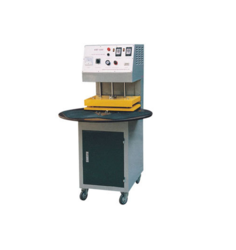 Looking for Plastic Welding Machines For Rain-wear Tent ?